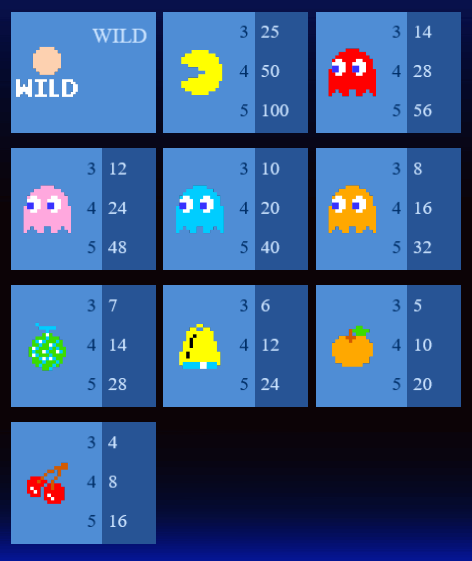 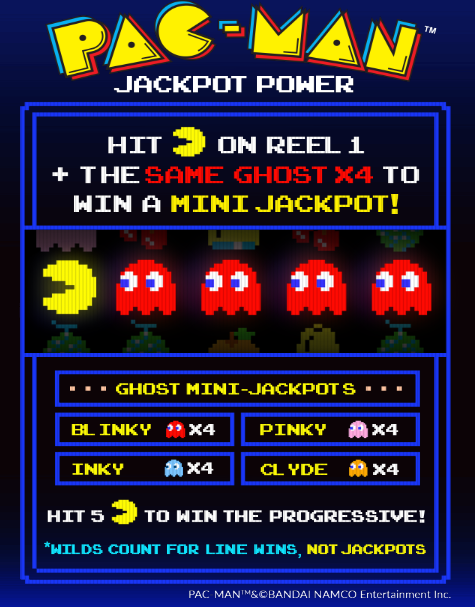 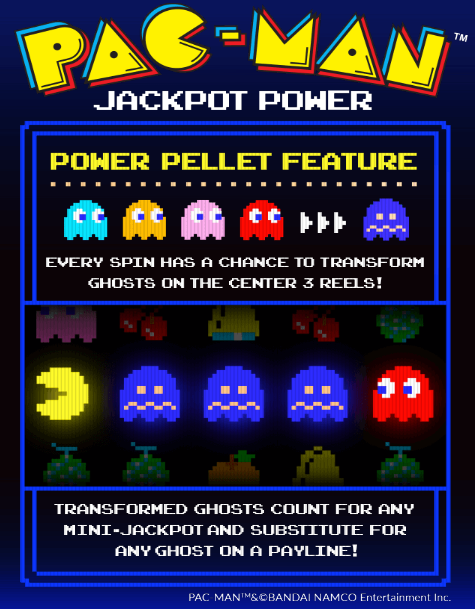 In this Pac-Man-themed slot machine, you can win one of four Ghost mini-jackpots ranging from 10 times your bet amount up to 40 times as well as a progressive jackpot that not only grows higher but is based on your bet amount. 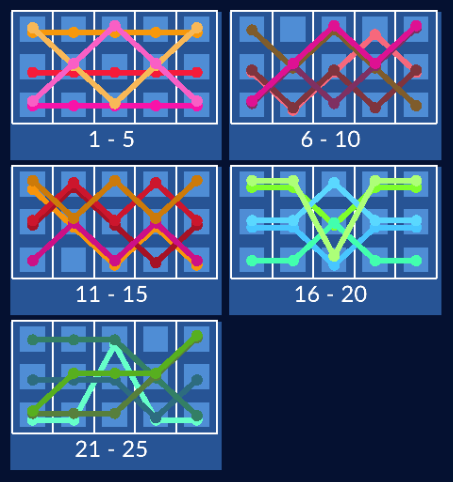 The higher you bet, the more you can win. 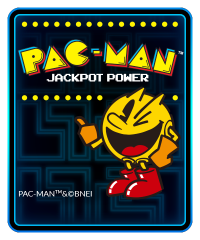 Note with this slot machine, wilds count for line wins, not jackpots.